When was the last time you sat down and wrote out goals for yourself? For many, the thought of goal setting can be quite overwhelming. Whether it’s a series of failed goals in the past or another person’s critical opinion of your potential, it’s easy to find ways to refrain from setting goals. The fact remains; however, that goal setting is a critical ingredient for success. Throughout the next several blogs, I’m going to introduce you to a unique goal setting process that will hopefully serve you well in both your personal and professional endeavors. I invite you to actively participate in this process and experience for yourself the power of goal setting. Why do millions of people today rely on a GPS (Global Positioning System) when driving? The answer is simple. It helps them to get from where they are to where they want to be in the most effective and efficient manner. Rather than relying solely on memory or a scribbled mess of directions, the GPS serves as a co-pilot of sorts, ensuring that you arrive at your destination. Wouldn’t it be great to have a GPS that performed the exact same function with regard to your goals in life? Imagine inputting any goal you choose and merely following the directions of the GPS to get you there. Well, guess what? You do have your own personal GPS and it happens to reside in your mind. It’s called a Goal Positioning System and it works in much the same way as the GPS in your car, or on your phone. Unfortunately, most people don’t know how to properly use it and therefore fail to accomplish, or even establish, goals. Let’s take a moment to look at how your GPS works. 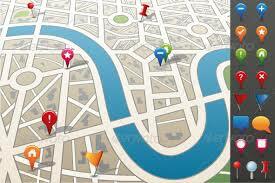 We’ll do this by examining the necessary steps you must take to activate your GPS. Step 1 – Choose your destination(s). In order to get somewhere, you have to know where it is you want to go. Although this may sound like common sense, there are a lot of people in this world who are expecting to get somewhere, but have never established where that somewhere is. In other words, they are simply going with the flow of life. I once heard someone say that if you happen to always go with the flow, then you’ll go where the flow has always gone; which is downhill. I call this the dream state of the goal setting process. As you know, your imagination has no limits. So, let’s put it to use by creating your dream list. Think about all of the things you’d like to accomplish (or achievements you’d like to reach) over the next week, month, or year. As you think of them, write them down on a piece of paper. Consider each of your dreams to be a destination and as you write them down, visualize yourself already there. As you do this, I want you to ignore the voice in your head that says, “Are you kidding me? That’s not possible.” Just thank your mind for doing it’s job and continue to complete your list. We will use this list for the remainder of the GPS process, so keep it nearby. Mike- this is great stuff! I do something similar with sales goal setting; however, you have captured the essence of goal setting- goals start with dreams! I can’t wait for more!